Calling all athletes, riders, and anyone who wants to balance their body and strengthen their foundation. The Fix is a set sequence designed to work and release all the key areas that we hold tension and tend to over work. The poses flow in the same order every single time, which allows you to perfect your form, and track your progress week after week. No tricks. No surprises. Just your weekly yoga fix. As the mornings get darker we slip into that magical time of year where everything is changing around us. Join me on the mat, wake up the body, find your breath and maybe see the sun rise as we get ready for the day. A thoughtful, warming practice to set your Thursday vibe right. If you haven't reached a Gyal Flex before - here's a little bit about how things go down! 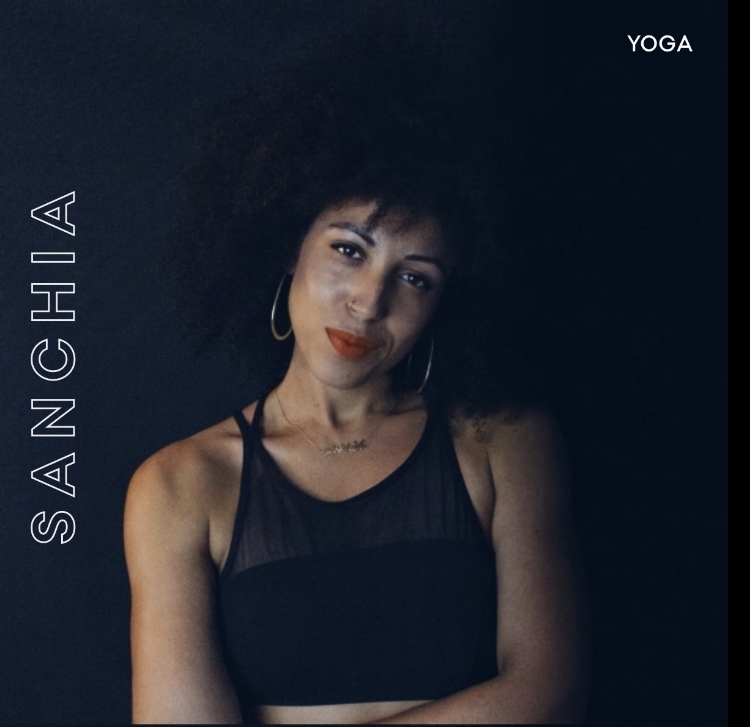 Expect to throw it down on the mat as we move through a soulful Vinyasa Flow. You'll be flowing and vibing to a carefully curated playlist to help you create a liccle heat in the body. Then give your mind a chance to relax, come into the present moment and fill your heart up with good-good vibes as we slow down, close our eyes, ground and breathe together. Wanna get a feel for the vibe? Check out some of the past events here. 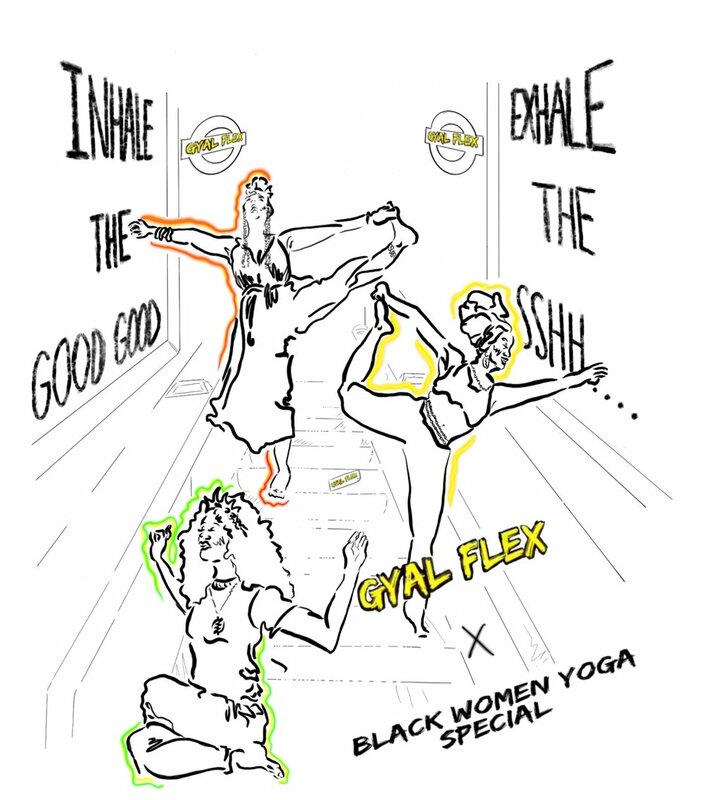 A special edition of Gyal Flex - London's first Hip Hop Yoga & Meditation event - where the combination of traditional yoga and meditation practices meet a fiyah playlist of pure bangers (Hip Hop, R&B, Soul and maybe a dash of reggae!) for black women. Expect to throw it down on the mat as we move through a soulful Vinyasa Flow. You'll be flowing and vibing to a carefully curated playlist to help you create a liccle heat in the body. Then give your mind a chance to relax, come into the present moment and fill your heart up with good-good vibes as we slow down, close our eyes, ground and breathe together. Leaving some time at the end for you to ASK ME ANYTHING (this was a ting wayyyy before IG stories - lol) about yoga, meditation and everything in between... well almost anything!